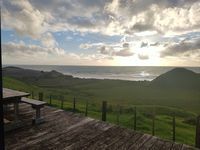 Properties in Mokau average 4.6 out of 5 stars. Seaview Cottage. 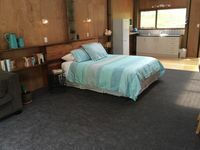 A cosy relaxing cottage, close to Mokau. Property 3: Seaview Cottage. A cosy relaxing cottage, close to Mokau. Property 6: Mokino: Sensational views - in all directions !!! Property 8: Farview Bach - Rural, beach, river and fishing! Lovely tidy clean house! Amazing views and the bonus of the farm animals kept the kids entertained! Thanks for sharing your slice of paradise! Beautiful location, excellent accommodation, highly recommend, definitely will be back again.